Liposuction is a contouring procedure that can be used to sculpt virtually any area of the body where there is an excessive amount of fat. Areas that are commonly treated include the abdomen, flanks, hips, thighs, back, knees and the neck in women and the abdomen, flanks (love handle area), breasts and the neck in men. It has been among the top two most requested cosmetic surgical procedures in this country for years. While liposuction is virtually always performed for aesthetic reasons, that is, where the primary concern is for an improvement in appearance, this is not always the case. Some pursue this procedure so that they can fit better in certain types of clothes. Over the years, I have had several patients seeking this cosmetic procedure because they were finding it nearly impossible to fit into specific types of clothing, usually pairs of jeans. The following patient of mine illustrates such a request. 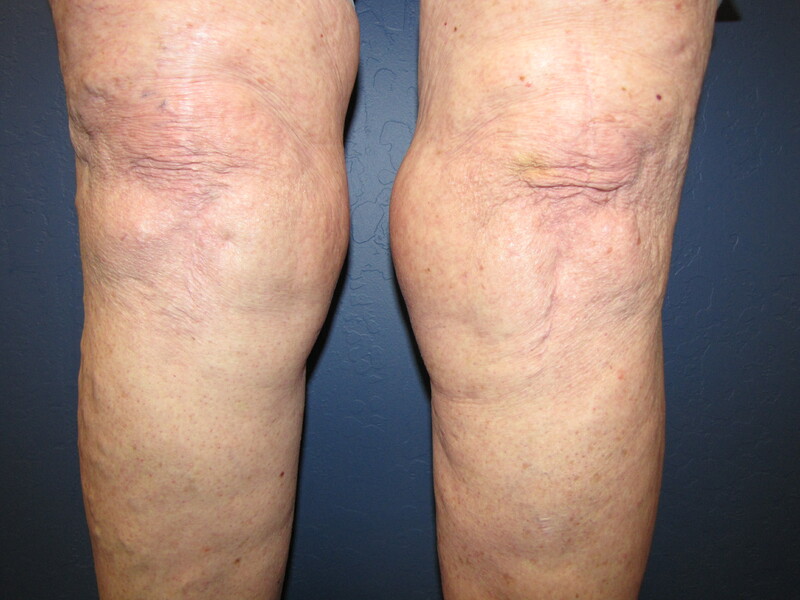 This is a 75 year old woman who was having a very difficult time trying to find a pair of jeans that should could get her legs into due to the large fat depositions around her knees, far worse on the left side (Fig. 1). 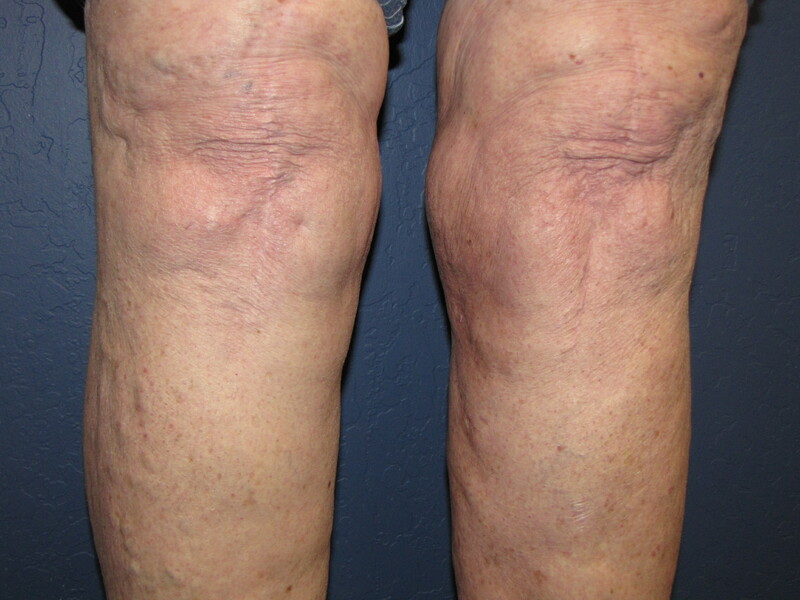 She had previously had a knee replacement with its attendant long scar and was not concerned about appearance whatsoever. 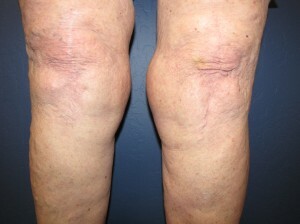 She underwent tumescent liposuction of both knees employing just one small ¼” incision on each mid upper leg. More than three times the amount of fat was removed from the left knee compared to the right side (Fig 2). There was virtually no discomfort postoperatively and she was walking immediately. Though she did not elect to pursue a modeling career following the liposuction of her knees, she was able to model and fit into several jeans shortly thereafter which were impossible to wear previously due to the large fat deposits around her knees. This was exactly what she had wanted and made her quite happy and satisfied indeed! If you would like more information on liposuction or on any other plastic surgery procedure that I perform or to schedule a complimentary consultation, please call my office at 480-451-3000.